This Baby's Eau de Toilette, can be used as a fragrance, it also refreshes & can even be used to style your baby's hair!
. 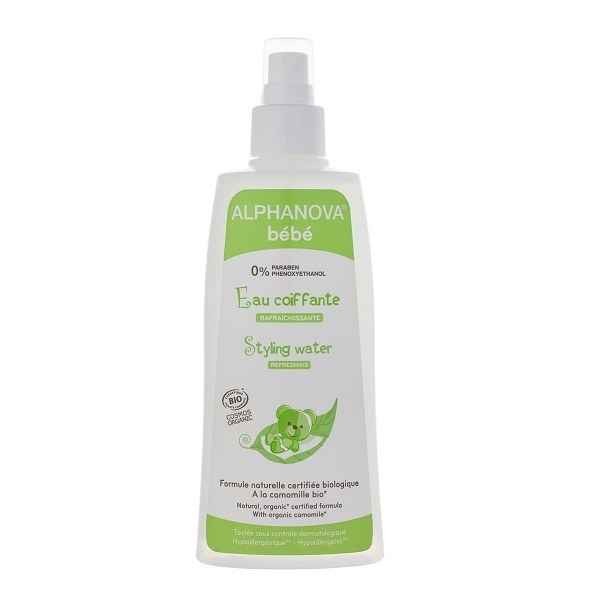 Refreshing, ideal for use after baby lotion.
. Can use to style hair. Aqua*, Anthemis Nobilis**, Glycerin* , lactitol* , Xylitol* , *Lilium candidum , Perfume, polyaminopropyl Biguanide , Sodium benzoate , Potassium sorbate .
. *** Hypoallergenic and dermatologically tested . - Paraben-free, phenoxyethanol-free, triclosan-free, formaldehyde-free! 99.7 % ingredients of natural origin. 49 % of ingredients (excluding water) certified organic.